NBC has announced the midseason premiere dates for two new series as well as returning shows The Voice, Good Girls, World of Dance, and A.P. Bio. The dramatic series The Village and The Enemy Within, a new thriller, will be joining the network’s primetime lineup during the first quarter of 2019. The Voice debuts season 16 on Monday, February 25, 2019 at 8pm ET/PT. The two-hour premiere is followed by additional episodes on Tuesday, February 26th and March 5th. Season 16 will then take a short break and return on Tuesday, April 23rd. Coaches for the upcoming season include returning The Voice veterans Kelly Clarkson, Adam Levine, and Blake Shelton. They’ll be joined by first-time coach, EGOT winner John Legend. World of Dance‘s new season will premiere on Tuesday, February 26 at 9pm ET/PT. It will move to its regular Sunday at 8pm ET/PT time slot on March 3rd. The third season’s judging team will consist of Jennifer Lopez, Derek Hough, and NE-YO, with Scott Evans hosting. Season two of the dance competition series took the #4 spot among all summer series on the big four networks. The critically acclaimed drama Good Girls has a season two premiere date of Sunday, March 3rd at 10pm ET/PT. Christina Hendricks, Retta, Mae Whitman, Reno Wilson, Manny Montana, Lidya Jewett, Isaiah Stannard, and Matthew Lillard star in season two of the series from writer/executive producer Jenna Bans. Season one averaged 6.1 million viewers. The half-hour comedy A.P. Bio starring Glenn Howerton as a novelist/reluctant high school teacher will return on Thursday, March 7th at 8:30pm ET/PT. The cast of season two also includes Patton Oswalt, Lyric Lewis, Mary Sohn, Jean Villepique, and Paula Pell. Seth Meyers, Mike Shoemaker, Andrew Singer, and Lorne Michaels serve as executive producers. Mike O’Brien writes and also executive produces. New series The Enemy Within will premiere on Monday, February 25th at 10pm ET/PT. 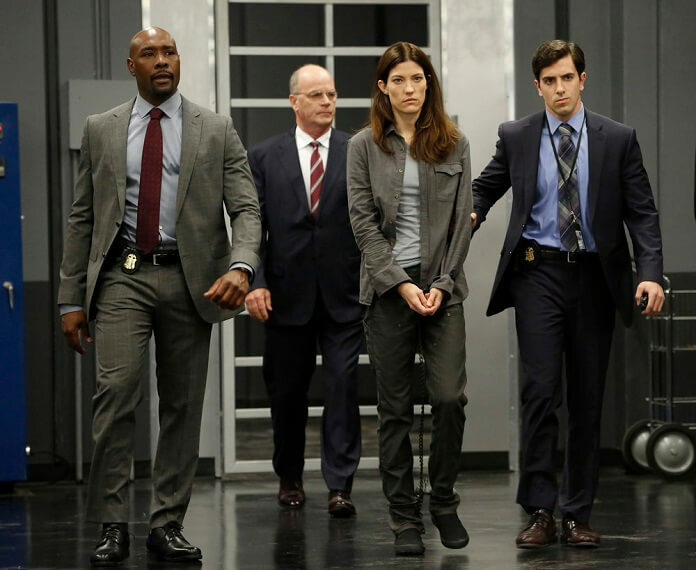 Jennifer Carpenter, Morris Chestnut, Raza Jaffrey, Kelli Garner, Cassandra Freeman, and Noah Mills star in the drama created by Ken Woodruff. Woodruff executive produces with Matt Corman, Chris Ord, and Charles Beeson. The Village makes its primetime debut on Tuesday, March 12th at 10pm ET/PT. The cast includes Moran Atias, Dominic Chianese, Warren Christie, Frankie Faison, Jerod Haynes, Daren Kagasoff, Michaela McManus, Lorraine Toussaint, and Grace Van Dien.